A recently acquired piece of equipment is having huge impacts on the orthopedic surgery department at Delta Hospital. Thanks to the ongoing support of the Delta Hospital Auxiliary Society, the hospital has added a mini C-Arm to its arsenal of enhanced medical equipment. Orthopedic surgeon Dr. Matt Lewington said the department has gone from being virtually non-existent at the hospital to incredibly busy within the space of a year. “I’m seeing 45 patients in my trauma clinics on the weekend. We have a full operating room slate and I now have about a six-month wait time to see me in my office. It’s all due to the auxiliary and the support of the hospital,” said Lewington. He said the mini C-Arm is an X-ray machine used to take images during surgical procedures. “It’s small and can be easily positioned in and out of the smaller operating theatres we have at this hospital without taking up the space that the legacy machine did. As well, the radiation dose for the staff is drastically less with this piece of equipment,” he said. Andreas Hochstrasser, site coordinator for medical imaging, said from a technology standpoint, Delta Hospital is now on par with bigger hospitals in the region. Director of clinical operations Tarnia Taverner said support from the auxiliary is a tremendous asset to the hospital. 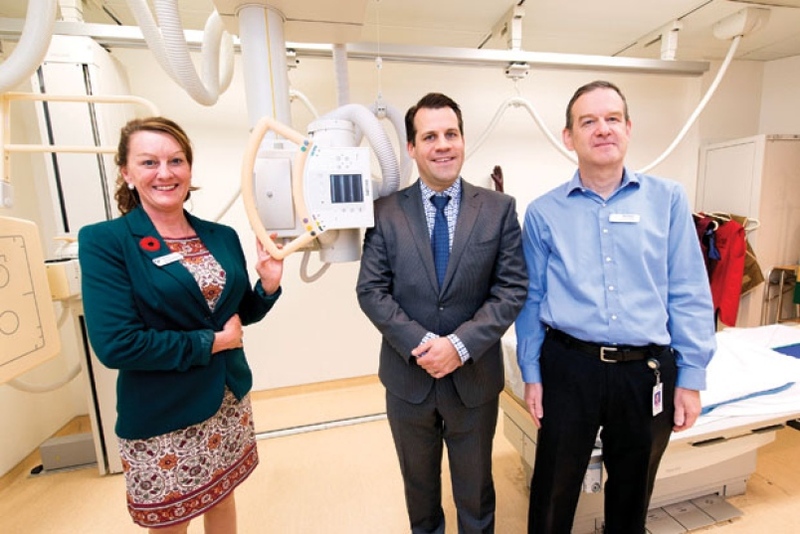 The mini C-Arm is part of more than $400,000 worth of priority equipment the hospital has been able to purchase in the past two years thanks to the auxiliary.